With this beautiful weather, I was in the mood of dying ribbons and let them dry in the garden. I grabbed all my white ribbons and made a fun mixure and had a lot of fun doing it. Once dried, I used some of them to make this card. I love the way they add a little fun touch on the project, matching the colors of papers and inks. Any white ribbon will work for this fun and quick technique. I could not resist using some of our ribbons roses, helas retired. I wish they come back! and a piece of our DSP This and that Epic Day , NOW on sale in the Weekly deals offers! 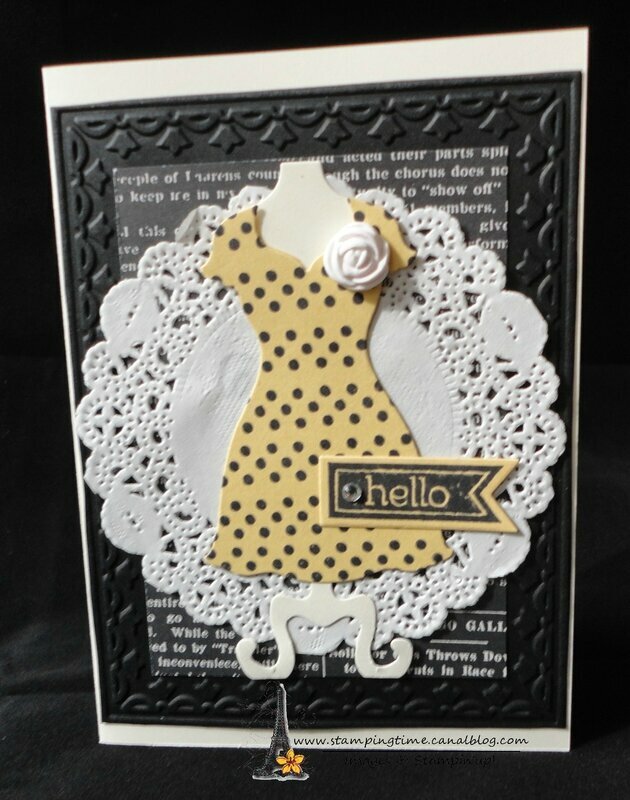 Learn how to make this fun card and how to dye ribbons during a fun workshop with your friends. Contact me to book a date. I will be placing an order Monday 21th April for the weekly deals, don't forget to contact me before sunday! DIGITAL PROJECT LIFE GOES LIVE!! Jar of love card: let's celebrate your day!